Woman hairdress from Central African Republic. Home » Woman hairdress from Central African Republic. Woman from Central African Republic. 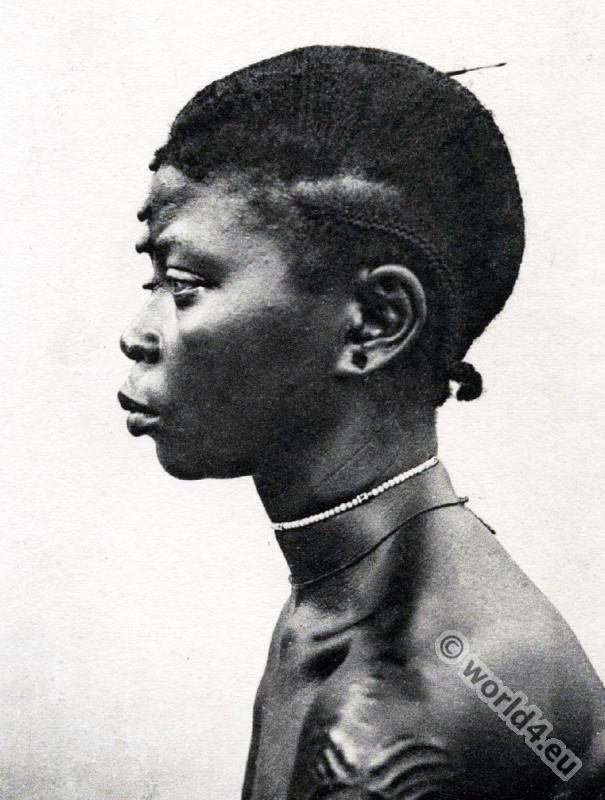 Hairdress and piercing of a woman from Central African Republic. Ubangi-Shari (The original French name Oubangui-Chari), Sango Ködörösêse tî Bêafrîka, since 1894 was the name given to an area in Central Africa, which in 1910 was part of the colony French Equatorial Africa. After the inclusion of the northeastern part of the former German colony of German Cameroon in 1916 during the First World War, the area Ubangi-Shari covered largely with the territory of the since 1960 independent Central African Republic. The name Ubangi-Shari was formed from the two major rivers of the area: the Ubangi and Shari. In 1906, the French colonial occupation united the area with their colony Chad until 1910 part of the larger French Equatorial Africa was. With the establishment of the Central African Republic, the name Ubangi-Shari disappeared from the maps. 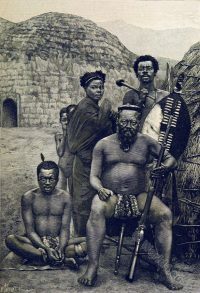 Gallery: The dark continent; Africa, the landscape and the people by Hugo Adolf Bernatzik. South African medicine man costume. African warrior of the Nuer tribe, 1930s. Masai warrior with spear, shield and lion headdress. 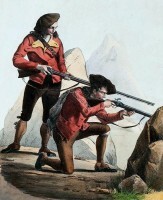 Hunters at the south peak of Pau. 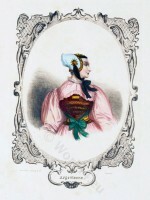 Costumes Pyrenees 1834. 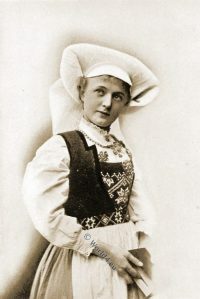 Switzerland folk costume of a Woman from canton Thurgau. 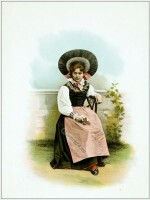 This entry was posted in 20th Century, Africa, Central African Republic, Hairstyle and tagged Tattoo, Traditional African dress on 12/12/14 by world4.